Come join this rewarding profession and be a part of what Fortune Magazine & ABC NEWS.com states as the 4th hottest job in the U.S. Employers like 24 Hour Fitness, LA Fitness and Gold’s Gym are just a few of the club groups that seek out our graduates. The average pay nationally is $34.00 an hour! Whether a career move or for your own personal knowledge, get all the information you need to become a Certified Personal Trainer in this hybrid style educational program. W.I.T.S. is the only major certifying body providing comprehensive practical training and internship components so you can be a complete trainer. This challenging course is directed as an 8-week program for better retention and skill competency. The National Exam is included and held during the practical lab week. This course is formatted as a 62-hour program and is comprised of 16 hours of online lecture, 16 hours of hands on practical training which is covered in a 4 day practical lab. A 30-hour internship will network many graduates right into a job. The course prepares you for success with key topics that include biomechanics, exercise physiology, fitness testing, equipment usage, health assessment, liability issues and much more. CPR/AED is needed to receive the international certification. 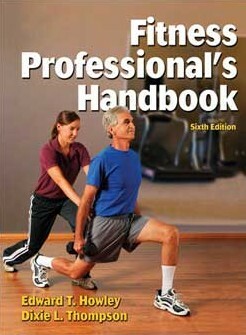 The 6th edition Fitness Professionals Handbook, e textbook is required and included in the course tuition. Phase 1: Take the online course lectures at your pace in your own home or office. Instructors are with you for the duration of this interactive course. Video’s, discussion boards, and more are available to help you understand the concepts you’ll need to be successful in the field. Phase 2: The second and unique phase of the hybrid personal trainer certification includes getting access to a very detailed video review of the practical skill competencies. This will prepare you for an individualistic hands on experience during your 4 day live practical lab training. Phase 3: Testing – You will test in both written and practical skill competency on the final day of your labs. As a side option the written test can also be taken at any one of 5,000 testing sites as a standalone prior to the 4 day practical lab event. A small additional fee is required for this service. This option is for those who finish early and want to take the exam while it is all fresh. Phase 4: The 30 hour internship will bring it all to life for you. 12 months are set aside for you to complete your internship. Participating sites will be provided for you from active employers who are interested in meeting you. This bonus service is to help you network into jobs in a very rewarding profession. Special Note: Please note that your CPR and AED certification can be done on your own within your own community with Red Cross, the American Heart Association, etc. W.I.T.S. is an approved CEU provider for the Board of Certification for Athletic Trainers (BOC), the American Occupational Therapy Association (AOTA), National Certification Board for Therapeutic Massage & Bodywork (NCBTMB), Veterans Training and Education, the International Association of Continuing Education and Training (IACET). The American Council on Education has recommended 3 undergraduate academic credits for this course. W.I.T.S. Brings Digital Badges To The Fitness Industry! Mentored online SELF PACED lessons for optimal learning. Register at any participating college or university site on our locations page. Student workbook & e book included to download. Post by World Instructor Training Schools. Want more info click here. 1. Understand and describe basic anatomy, kinesiology and exercise physiology. 2. Assess an individual’s level of fitness using ACSM guidelines. 3. Design and customize exercise programs. 4. Demonstrate proper execution of resistance, cardiorespiratory and flexibility exercises. 5. Identify and demonstrate at least one strength exercise for every major muscle group. 6. 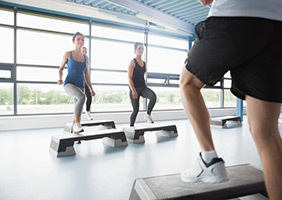 Explain ACSM and AHA recommendations for cardiovascular exercise. The store front has retired exams to assist as study tools. This exemplary self paced course has a 92% pass ratio! Learn how to be a personal trainer with all of the comprehensive skill sets. W.I.T.S. will teach you how to be a successful personal trainer and not just to pass a written exam.